[amazon cover 0800629973]One of the most frequently asked questions that new preachers ask is where is a book to help me learn to preach? There are actually tons of such books. I have written on this question in the past on this website as well as another one. Even though that is true, I will take it up again in this article. 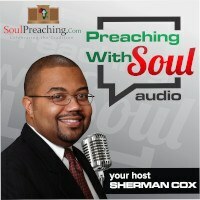 I think that an African American Preacher needs a few resources to help them to preach. First, a general textbook on sermon construction is needed. For that I would suggest that one purchase the excellent book edited by one of my former homiletics professors, John McClure, entitled Best Advice for Preaching. The book can be read easily by preachers without a seminary education. Another nice thing is that you have many homilititians who have contributed to this book. [amazon cover 0687047447]Another good book is The Witness of Preaching by Thomas Long. This is a little longer work, but well worth the effort to go through it. Long uses the metapohr of the preacher as “witness.” Another book that we used in our introduction to preaching course is The Practice of Preaching by Paul Scott Wilson. I especially liked the step by step instructions for exegesis. One book that many keep emphasizing to me is Haddon Robinson’s book Biblical Preaching. Many have been helped by it. An African American preacher needs to have a book that can help him or her understand the fundamentals of preaching in the Black tradition. There are a number of good works on this subject. I would suggest especially looking at either Henry Mitchell’s Celebration and Experience in Preaching or his student Frank Thomas’ book They Like to Never Quit Praisin God. In addition, you might be interested in my own book You Can Preach which you can download here for free. 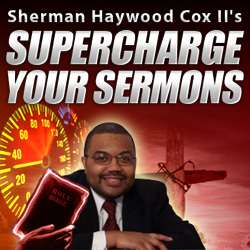 If I were pressed to give just one book, I would suggest purchasing Best Advice for Preaching and then download the free book You Can Preach. My book provides step by step instructions to construct the sermon in the Black Preaching Tradition and Best Advice for Preaching will provide a framework for understanding my book as well as open the door for deeper study if you wish to tackle other works on the subject of Preaching.